I want to share some of our favorite Christmas gifts. This was one of my favorite gifts that I received. My favorite mother and father-in-law gave me a gift certificate to Webs. 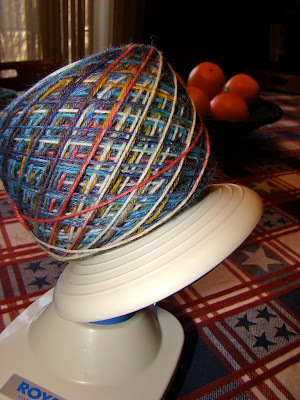 I got this ball winder, some yarn (on the ball winder) to make socks, and a yarn swift. I haven't used the swift yet, but I will take pictures when I do!